Pakistan’s small middle class is vulnerable and exposed to the growing violence between al Qaeda and the government. Novelist Lorraine Adams on why this vital group cannot be forgotten by the U.S. Ever since Osama bin Laden’s demise, I’ve been worried about PUPPies—Pakistani Upwardly Mobile Urban Professionals. They’re a vulnerable and endangered species, despite their Twitter accounts, iPhones, and Facebook pages. College-educated Pakistan (roughly 4 percent of the country’s 170 million people) may be much smaller than Egypt’s, and may have different gripes with their government, but its members share many values with their Arab counterparts. As the news broke over Twitter last week, PUPPies had plenty to say about the death of the man hiding in an ugly house in a town most of them remembered as a decidedly uncool childhood vacation spot. (Think of the Adirondacks or Catskills, if you’re a New Yorker.) They know that terrorists keen on retaliatory strikes for bin Laden’s killing will be looking for them. Some writers—among them my friend the novelist Mohsin Hamid and the Guardian’s Declan Walsh and Jason Burke—are familiar with this sliver of Pakistan’s middle class. But most, including Salman Rushdie, who called for declaring Pakistan a terrorist state, sometimes seem to believe in a monolithic Pakistan sympathetic to terrorism, intolerantly Islamic and anti-West. They say the military, which represents the largest component of the middle class, is guilty of harboring bin Laden. If they have their way, the Pakistanis who are most like Westerners—English-speaking folk who carry Blackberries, watch Fashion Week on YouTube, twittered against the murder of anti-blasphemy law crusader Salman Taseer, and obsess about grades for college or medical school—will be thrown to the terrorist pack. Since 2006, I’ve been traveling to Pakistan to research my last novel and the novel I’m currently writing. I’ve spent time in the border town of Torkham, the Swat Valley, the garrison town Ralwapindi, but mostly in cities—Peshawar, Islamabad, and Lahore. When I first started visiting these were tranquil places. But in 2008, Lahore exploded with its first suicide bombing. Pakistanis from all walks of life became vulnerable, but terrorists have targeted places where tolerant Muslims gather, such as urban shopping centers, Sufi shrines, and cricket fields. Rushdie and others, perhaps rightly, blame the Pakistani military for hiding bin Laden, but side by side with this possibility is the statistical reality that middle-class families have born the brunt of the extremist attacks. Officers and soldiers at military training grounds, employees at the federal investigative agency that probes terrorist attacks (comparable to our FBI), and individual police officers have been victims of fatal bombings. The military is not monolithic. One of my Lahore friends is the daughter of a high-ranking officer in the Frontier Corps who is Pathan. If stereotypes were a guide, both her ethnicity and her father’s career mark her family as bin Laden sympathizers. But her uncle, a police chief, was killed by a suicide bomber in Peshawar because of his anti-extremist work. Plus, her sister-in-law’s family is longtime military, the family patriarch an Army general who hails from Abbottabad. Yet whenever both these young women are on Facebook, their updates decry these attacks. Just how much support Pakistan’s Inter-Services Intelligence and the military gave to bin Laden or any extremists is the subject of government investigation, and has been debated ad nauseam among analysts. Most American commentators quote the highly respected Ahmed Rashid, who recently wrote in The New Republic that they give terrorists enough help to keep “the pot boiling but not overflowing.” Others such as Anatol Lieven, in his new book about Pakistan, argue that military support for extremists in Kashmir and Afghanistan exists but inside Pakistan is thin. In these days after bin Laden’s killing, I hope her stoicism continues to keep her sane. Whether it keeps her safe is up to leaders, worldwide and in Pakistan, for whom she is largely invisible. 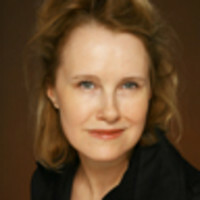 Lorraine Adams, a Pulitzer Prize-winning author and reporter, is the author of Harbor and The Room and the Chair. She lives in New York City.